Here we go. 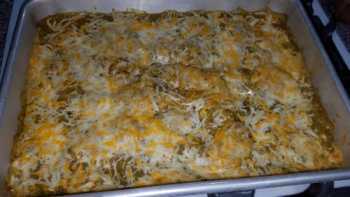 Super EASY Chicken Enchilada Casserole. You can complicate things if you want to, but this only requires a few ingredients and turns out absolutely delicious. 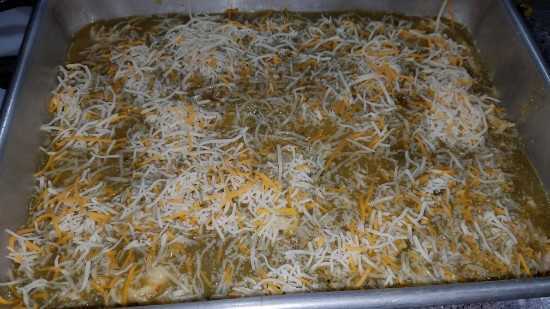 Makes enough for 2 to 6 people depending on how hungry you all are. 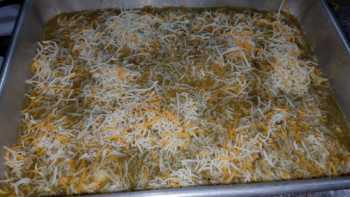 6 people is a stretch because you will want seconds! 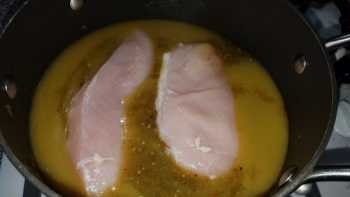 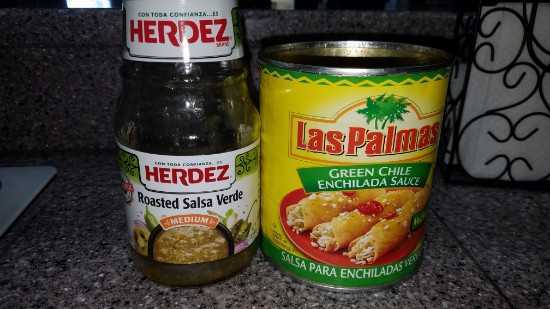 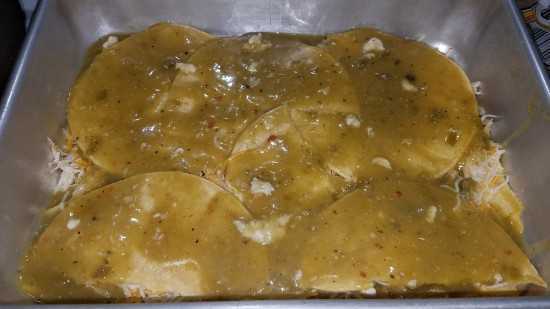 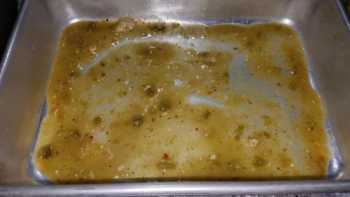 Add your green enchilada sauce, jar of salsa verde and 2 boneless skinless chicken breasts to your pot. 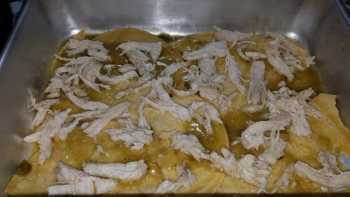 Cook on medium heat for 15 to 20 minutes or until the chicken is done. 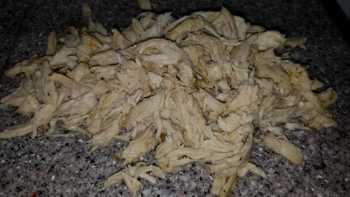 Take chicken out of pot and shred. 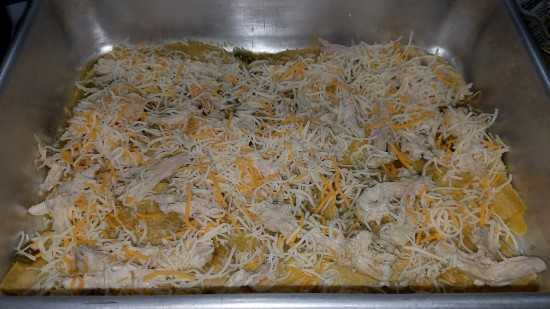 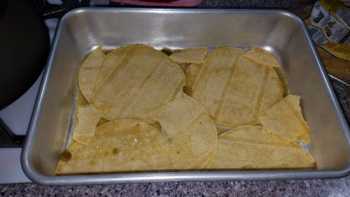 Tortillas, sauce, chicken, remaining sauce, cheese. Bake at 375 for 40 to 45 minutes or until bubbly and cheese has melted. Note: If you like it hot, you can use a hot salsa verde or add jalepeno's or hot green chile's. Top servings with sour cream, onions, diced tomatoes, cilantro etc. That's the complicating things I mentioned but it doesn't need any of it if you choose not to have toppings.